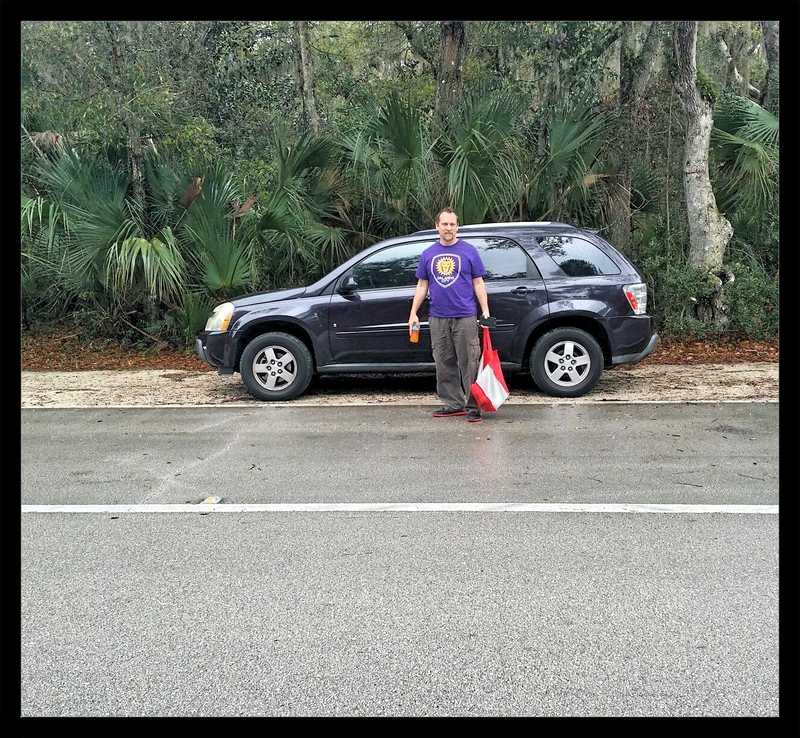 2016 Tomoka Marathon: Is this it?! It has been many months, many training runs and many mornings of anticipation for one morning of running. I was ready for Tomoka and nothing was going to stop me from finishing it – not even the weather. 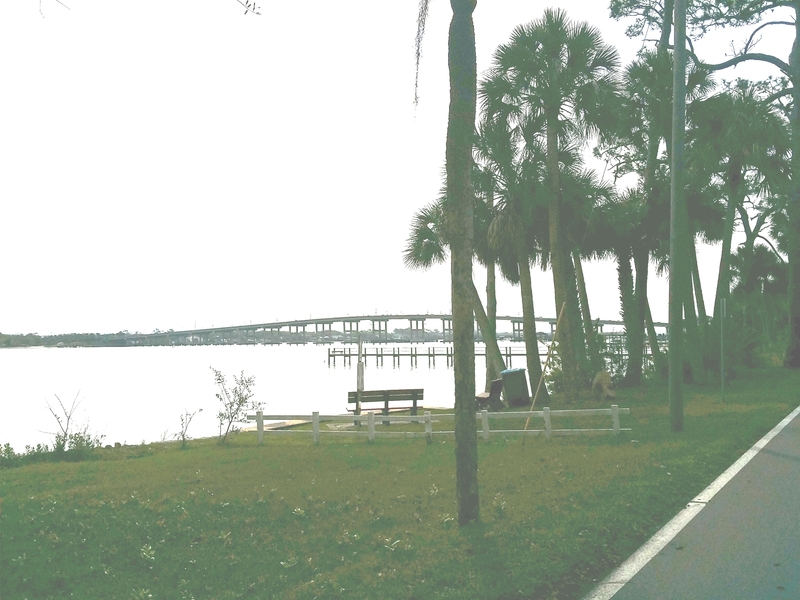 The typical Florida weather did its thing as usual – toying with us on whether it was going to rain or not and on whether it was going to get hot like furnace or not. Considering its unpredictability, it could have been worse. At the start of the race at 6:30 a.m. and still dark, it was a stuffy 66°F and 94% humidity. I didn’t take chances in relying on water stops every other 1.5 mile so I carried my own fluids. 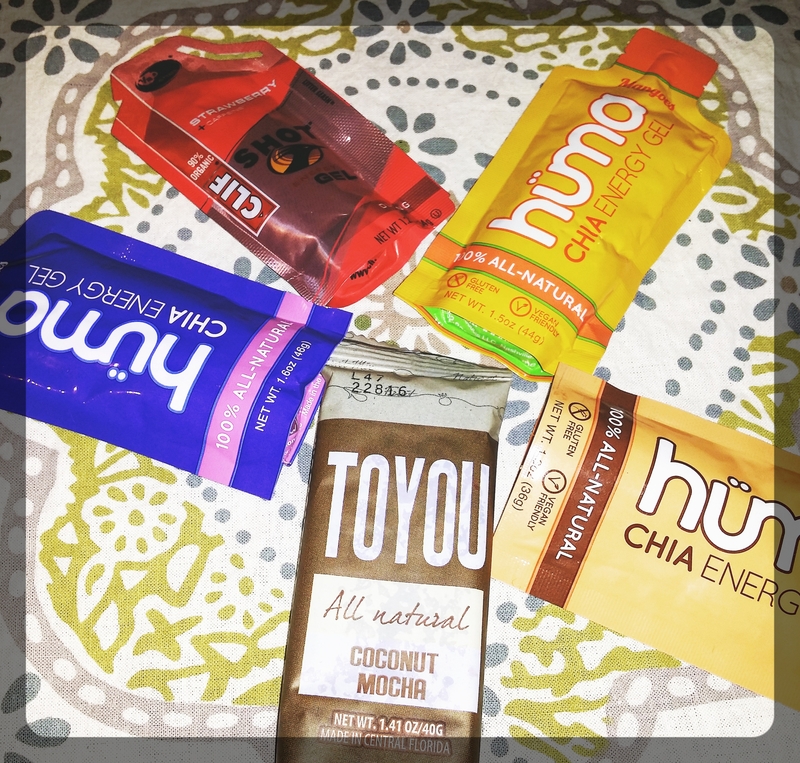 I was stocked with nutrition – my favorite Sweet Potato & Sea Salt Cliff nutrition, Mango Huma gel and Chia peanut butter chocolate bar. I also had two electrolyte and two ibuprofen pills – just in case. Huma gels are my favs – and it’s 100% vegan! The 1-miler mark came pretty quick, actually, and I was greeted by a faint, and yet, a powerful tone of voice saying: “25 more miles to go!” It was my husband. It was great seeing him, but not being reminded of the mileage ahead of me. I was getting hot already, and the fact that the sun was not out, wasn’t very optimistic. I stopped to remove my running top. It felt better and lighter, but I was still hot and my heart rate higher than I wanted. On the next water stop, I made sure to grab the half-filled-tiny-cup-of-water and poured it over my head. The beauty of the Tomoka course filled with mature trees, beautiful architecture, and the fragrance of water from the marsh and the Halifax River helped distract my mind from the heat. I decided that the weather and my body would serve as a guide towards the best way to approach this journey. I did my best to cover as many miles as I could before the sunlight was full out. I was grateful that my body was somewhat okay with that strategy since calves and shin discomfort had been an issue. By the 10-miler, I felt an unusual right knee discomfort, and by then, day light was out, but a little cloudy with possibility of rain. 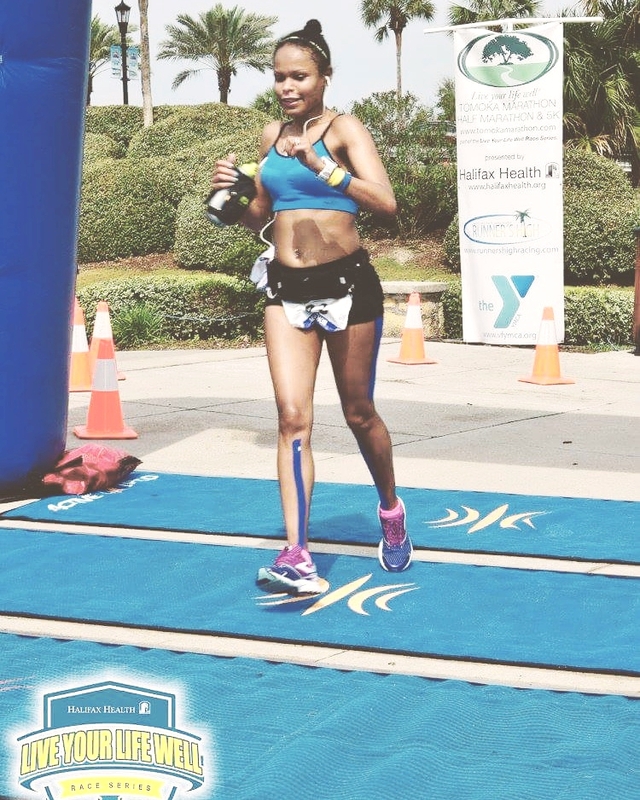 I acknowledged the discomfort while asking my knee to stay strong and let go of the pain. Again, the beauty of the course grabbed my attention to the nature surround me. 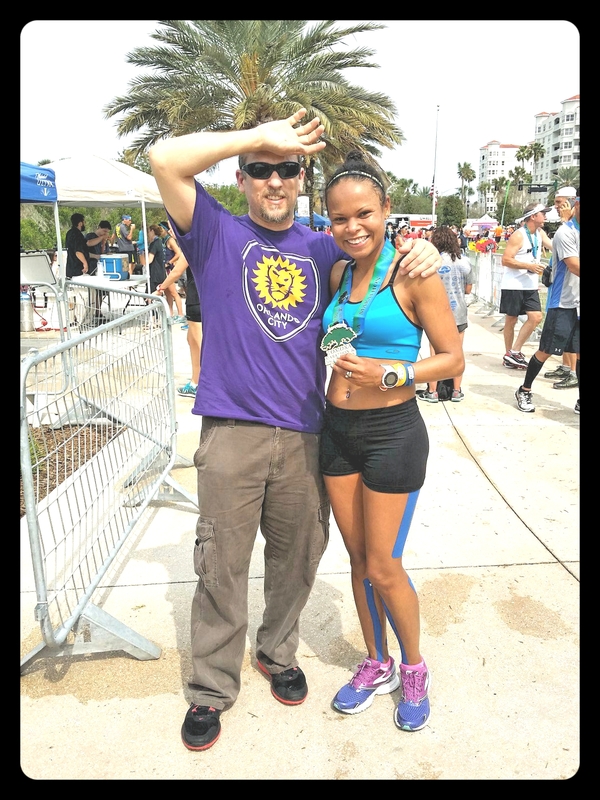 The anticipation of meeting my husband at the 13-miler helped me to refocus and the information on the Pose Method of Running book kept me mindful of my running form. The pain went away and I felt like I could run strong. At about the 11-miler, raindrops started to fall. It felt refreshing while I wished to stay that way instead of becoming a heavy rainfall. Having it finished my sweet potato/sea salt Cliff nutrition, I decided to take the two ibuprofen pills and one electrolyte pill at the 12-miler. I wanted to be pro-active and assure that it was a fun race. I mistaken my husband thinking he was one of the race personnel camera guy taking my picture at the 13-miler water/Gatorade stop – all I noticed was the camera. I kept going and only slowed down when I heard him calling my name. It was encouraging to see him. He provided me with my during-activity drink and ice. It was so hot that I used the ice to put it inside my sports bra. 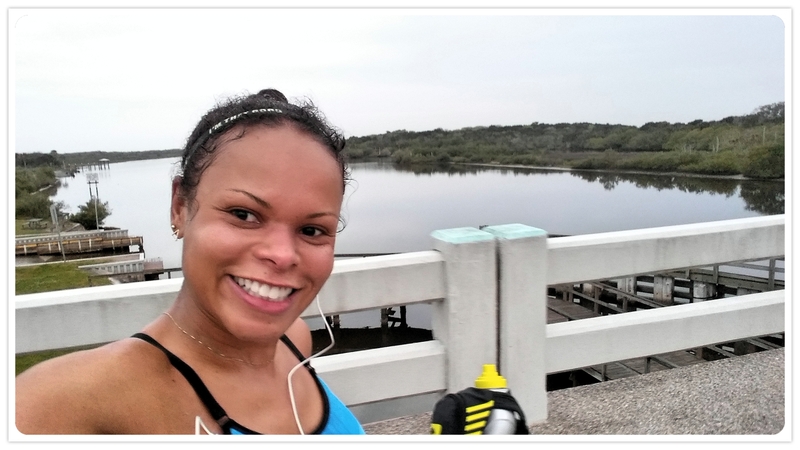 Whether it was the sports drink placebo effect or not, I felt confident and reenergize. Knowing that I would see my husband again at the 16, 19 and 21-miler was also exciting. His support helped breakdown the long distance and solitude. My husband’s support and encouragement made a HUGE difference! Despite of having the luxury of such support (not everyone is as lucky as I am); the truth of the matter was that my pace was all over the place. The best pace came at the 17-miler as 10:19 min/mi, the medium pace at the 23-miler as 11:38 min/mi and the worst pace at the 26-miler a “yippee” 13:41 min/mi. Right off the start, I felt this race was going to be one that I had to do everything I could that was under my control not to go sour. I wished for a sub-5 marathon, but the “wall” raised up around mile 23ish with the sight of the bridge on W. Granada Blvd. I kept pushing through. When I made the turn to climb the bridge, the will power to move my legs was non-existent. I only had the energy to walk through the highest point of the bridge. I picked up pace again at the top of the bridge only to take a quick walk at the end of the bridge. I decided to just go ahead and finish it, and somehow, I found the power to run towards the finish line. 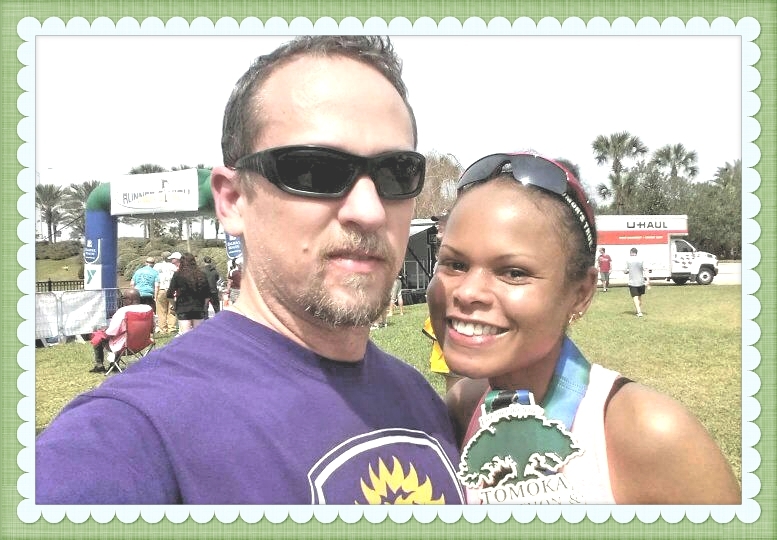 I wanted nothing more than to finish and to put an end to my husband’s and my coach’s wait. When I saw the rug that covered the timer and crossed the finished line, a quick thought came to mind: “is this it?” It felt unreal. I saw my husband on the side line and in a split of a second, I saw Coach Chris holding my medal. She gracefully put it around my neck. I started crying immediately; gave her a “sweaty” hug (she didn’t mind), and soon after, my husband as he made his way through the volunteers giving out medals to other marathoners. I was hugging my husband in tears. Coach Chris’ husband, Steve, was there too. He had the thoughtful idea of suggesting that she award me with the medal. For that, I am very grateful. It was so unexpected and the days of training came all together in that moment. Is this it? – that’s the thought it came to mind as I saw the blue rug on the finish line. Six years ago I struggled to finish my first marathon at 6:46:48. This time, I finished with a little more grace, smiles and relatively pain free with a timing of 5:01:48. I only had a one-stop potty break at mile 15ish – and that was a real bathroom (no lines) inside the state park. Yippee! It’s a big step forward for which I am grateful. This accomplishment would not be possible without the caring and support of my husband, my family, my running family and friends. The journey has only began. I am so happy! 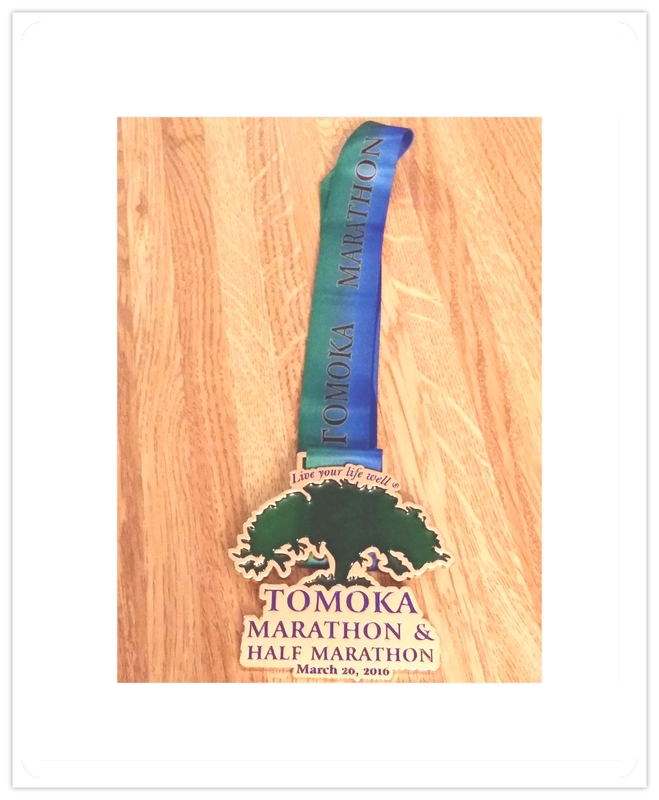 This entry was posted in Race and tagged endurance, fitness, marathon, nutrition, run, runners, running, running community, strengthening, Tomoka, Training, women runners. Bookmark the permalink.